Denise is our Lead Therapist Assistant and Caseload Coordinator. Denise was born and raised in the Charleston area. She is a newlywed and mom of two incredible boys, Brennan and Jaxon. 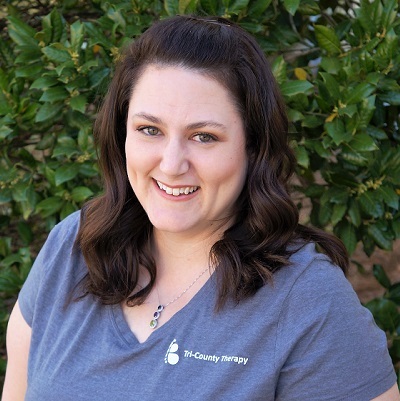 She is a recent Early Childhood graduate from Trident Technical College and is currently working toward a Bachelor’s of Science in Early Childhood and teaching certification. She has over 16 years of experience in Early Childhood Administration and working with special needs children. Denise loves exploring with her new husband, Byron and trying new things. She volunteers with her son’s cub scout pack and is very involved in their extracurricular activities. She spends time baking, crocheting, reading and spending time with her family and friends.